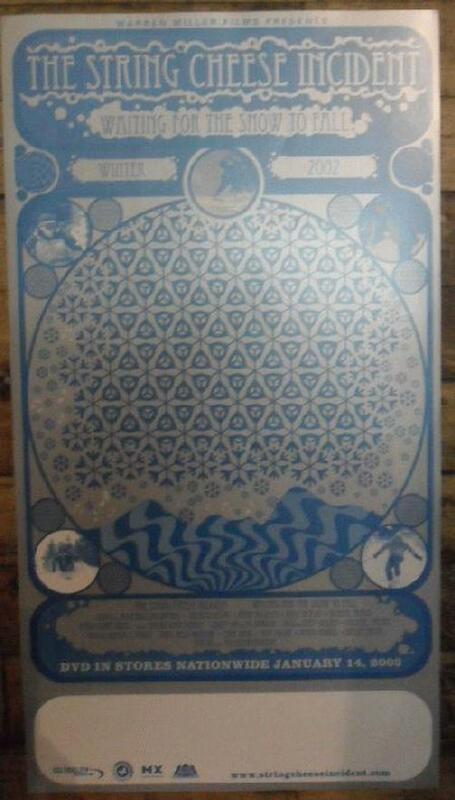 Original promo poster for the String Cheese Incident DVD Waiting for the Snow to Fall from 2003. 10.5 x 19 inches on thin glossy paper. Light handling marks and perforated.